Innovators have been working to enhance concrete for centuries. About 2000 years ago, in a civil engineering breakthrough developed by the Romans, volcanic ash was added to the cement to strengthen it. As we know, many Roman structures have stood for hundreds of years. Unfortunately, the same can’t be said of our modern building standards. In the contemporary era, reinforcing concrete with steel bars (rebar) has been traditionally accepted as the best method of strengthening buildings and improving durability in the short term. Other methods include using high performance macro-fiber, fly-ash, blast furnace slag and pre-stressed concrete. But none of these truly stand the test of time. The Achilles Heel for even the largest buildings made of concrete with rebar is water. The moment water enters an exterior crack of any building, a cycle of inner deterioration begins that is difficult to reverse. “Concrete cancer” is a condition in which the alkalai in cement react with silica, resulting in the slow growth of small crystals. This either causes cracks to occur from the inside, or surface flaking, both of which allows more water to seep in. The water eventually corrodes the steel rebar, leading to rust and decay. More fissures lead to more water, in an ongoing cycle of decay. 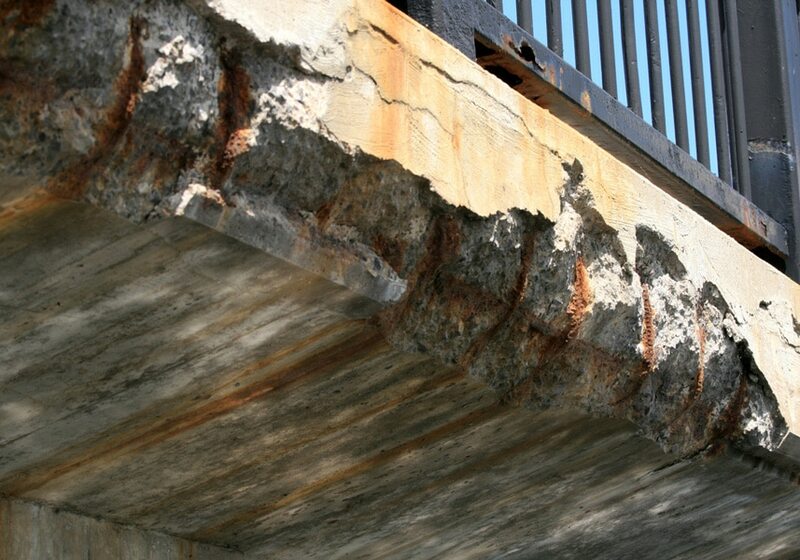 Because of these deficiencies, traditional rebar may soon go the way of the Romans, due in part to exciting developments now emerging in the field of nanoengineering. For the first time, cutting-edge companies such as EdenCrete are using nanotechnology to function as a key additive for builders to significantly strengthen their concrete pours. EdenCrete has been working to make concrete more resistant to water seepage, through the use of carbon nanotubes, which can reduce permeability up to 50%, depending on dosage. With carbon nanotubes, much denser bonds are be formed with the cement and additive materials to prevent moisture from seeping into cracks. With 30 times the strength of bulletproof Kevlar, yet measuring only 1/50,000 the width of a human hair, carbon nanotubes provide solutions to nearly all the mechanical and environmental deficiencies that builders and developers face with traditional steel-reinforced concrete. In other words, the more we peer into the molecular secrets of concrete, the more we see the potential of nanotechnology to revolutionize the industry. Over the past two years, EdenCrete has been thoroughly testing its liquid concrete additive made of carbon nanotubes that are designed to enhance the strength, durability and mechanical performance of concrete.